General entry requirements for second-cycle studies and specific entry requirements: Bachelor Degree in Business Administration with a minimum of 90 credits in Business Administration, with a minimum of 7,5 credits in logistics/supply chain management/transportation/operations management, or the equivalent. English B/6 or the equivalent. The program reflects those demands on efficiency, coordination, management and development of business processes in supply chains that global competition imposes. It contains two specializations; frontiers in logistics & supply chain management, and frontiers in management accounting & process-based control. On the specialization Frontiers in logistics & supply chain management, you deepen your knowledge from the bachelor’s level. The first semester contains the courses Logistics management in supply chains (which e.g. treats future logistics challenges when coordinating with suppliers) and Supply chain information systems (which gives broad knowledge on IT support necessary to manage supply chains). After the first semester, you will study integration of supply chains and inter-organizational management accounting, research methodology and e-business management. The master program is concluded by a master thesis. It is possible to graduate after one year. The program is held in English and recruits students from all over the world. The other programme specialization Management Accounting & Process-based Control can be found here. After graduation you can work both nationally and internationally within a broad area. On today’s labour market, there is demand for business graduates that can integrate with other companies and work for the end customer with an offensive and business-oriented approach. The programme prepares both for a professional career related to the management and control of business processes in supply chains, as well as an academic career. Some job titles of alumni students are Purchaser, Supply Planner, Business Process Developer, Business Development Planner and After Sales Logistics Planner. Master of Science or Master of Science in Business and Economics (120 credits) with specialisation in Business Process Control and Supply Chain Management: Frontiers in Logistics & Supply Chain Management (Main field of study: Business Administration). Farah: "The programme is very up to the mark and practical in nature that is incomparable and unique in its own kind"
What made you apply for this programme? - I applied for Supply Chain Management because it is very up to the mark and practical in nature that is incomparable and unique in its own kind. This program is very latest, comprehensive and holistic in nature and the courses offered in this program seemed very relevant and interesting. Being in your second year of the programme, how do you like it so far? - I like the course content, given tasks, assignments and the way this program is structured. Supply Chain Management combines different learning techniques, such as case studies, seminars, guest lectures, company visits, workshops, simulation tools, peer teaching and tutorials, thus leading to a 360 degree approach to have command over the subject matter. The fair and transparent feedback given to the students helps them in further developing their knowledge and competency. 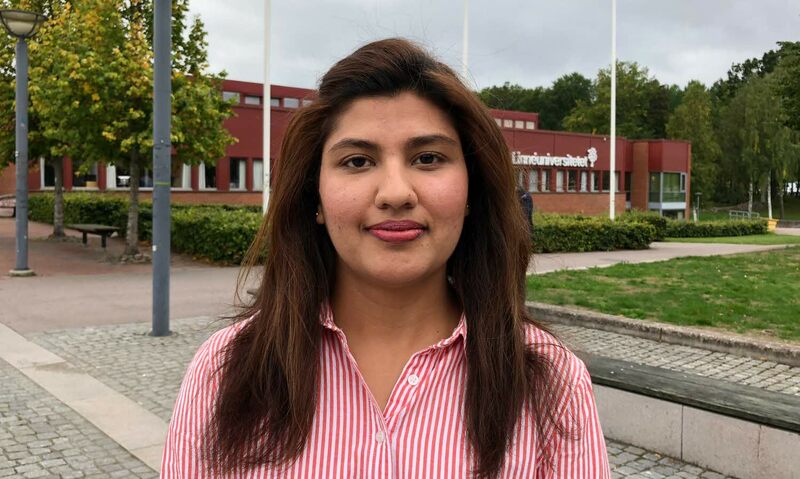 - I chose to study in Sweden because it is very modern, advance and developed country. Sweden is unique in its practices, in addition to being positive, peaceful, calm, sustainable and beautiful country. I believe everything in Sweden is very well thought, logical, planned and organized. The Swedish way of "lagom" and "Jantelagen" has played an important role in my decision to choose Sweden. Studying in Sweden is a very remarkable and wonderful experience. The teaching style is of high standard and quality which invokes critical thinking in students and makes them able to perform high both in academics and in practice. I find Swedish education system to be very fair and transparent in nature. Access to knowledge sources, such as library databases, events, conferences and seminars, makes this experience more valuable and delightful. 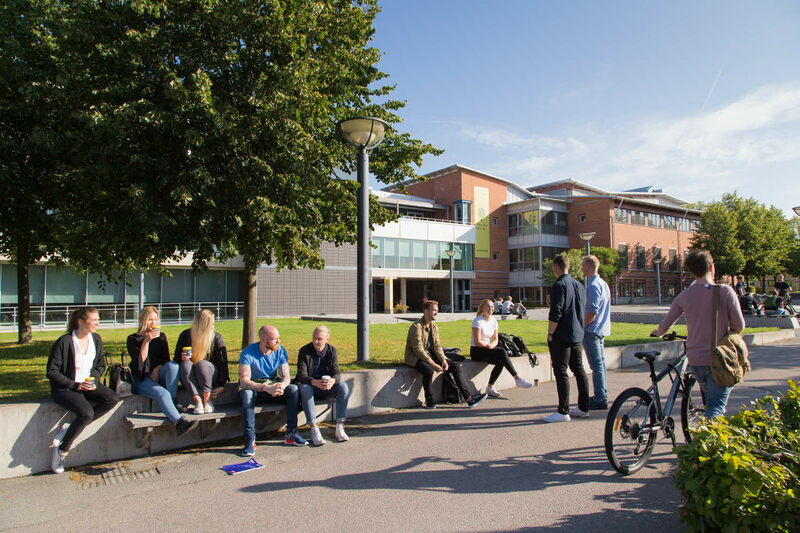 How do you like the student life of Växjö? - The student life is of very high quality, enriched and balanced. Having a campus where everything is at one place, the university offers the complete package and boundless value to the students. I like to take Swedish language, music and yoga classes in my spare time and I also like to explore Växjö more whenever possible. How come you choose to study this programme? - I choose this program because I worked a little with Business Process Management before and I became very interested to learn more, and to eventually find a job in that area. When I studied the logistics courses included in my Bachelor’s degree, I loved the idea of specializing further in that area with a Master’s degree. What do you enjoy about the programme? - What I find extra interesting with the programme is its very international environment. I also enjoy the opportunities we have to work with companies during some courses. The programme touches on very interesting topics with the different lectures offered. I will always remember a lecture on intercultural teams and leadership. I’ll also remember the guest lecture by Per Frankelius about scenario analysis. The program coordinator is always engaged in scheduling interesting guest lectures. 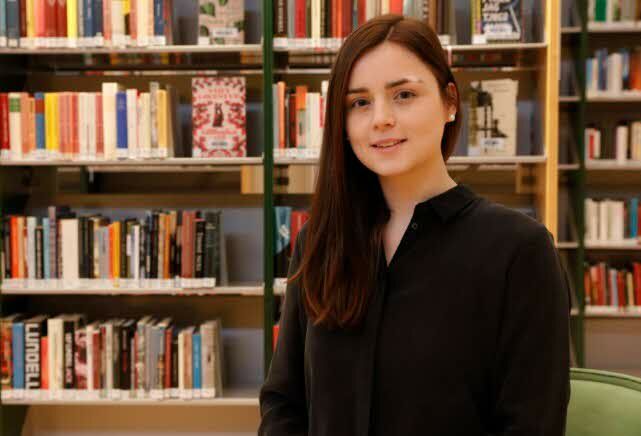 How is it to be a student at Linnaeus University? - The student life is really nice, especially if you live on campus you always have your friends and classmates nearby. You have everything you need on campus such as the gym, sports and pubs. So what are your plans for when you finish your studies? - I actually found a job in Sweden! I will start a trainee program within production and logistics at Scania in Oskarshamn.